Lost City Colombia is one of the most amazing trekings you will find in South America but also one of the hardest one, anyway you will find many reasons for doing it and that is why Im writting this article, to inspire you join this amazing adventure, the most important is to live the experience of having trek this amazing route full of mysticism and virgin nature in the heart of the Sierra Nevada. Lost city also known as Teyuna, was built in 700 AD. by the Taironas, and inhabited until the year 1,700 d.c. at the arrival of the Spanish conquers, it is said that the Spanish never reached to Lost City but the indigenous were dying from diseases that they didn’t have before such as chicken pox, flu, yellow fever, among others. In 1973 it was discovered by the Sepulveda family who sacked the area for years looking for gold and precious stones that were found in the tombs of the Taironas. 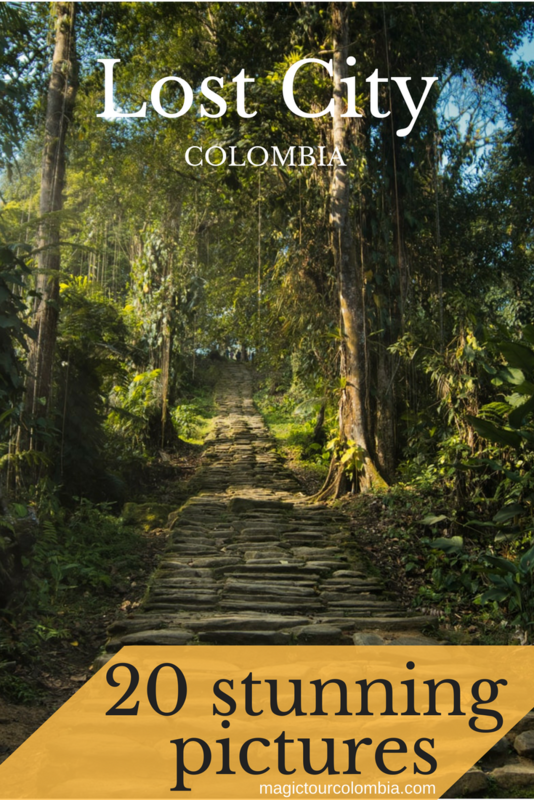 Soon after, the Restrepo family joined in the sacking, killing the father of the Sepulveda’s family, and other plunderers joined into the area, until in 1982 when there was nothing left, the first tourists began to climb and the area started to be controlled and investigated by the Colombian Anthropology Institute. Some pieces were recovered by the Institute and now are shown in the Gold Museum of Santa Marta. 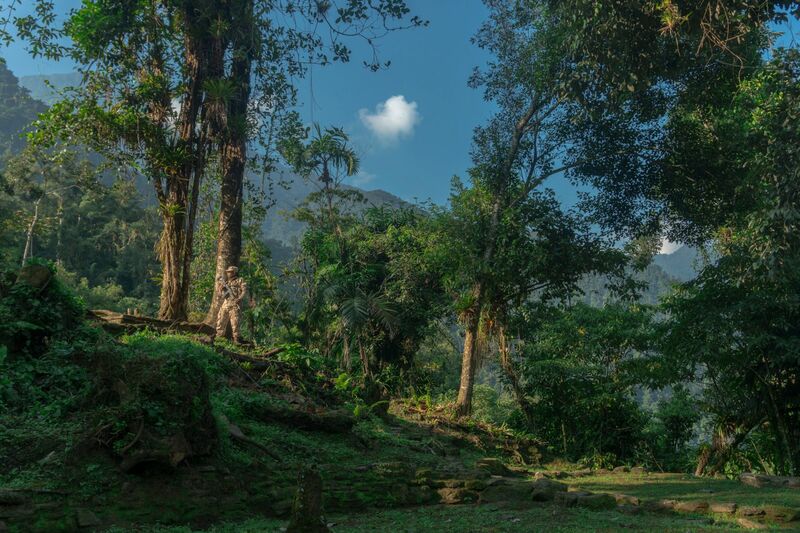 Lost City is inhabited by the Koguis, direct descendants of the Taironas, as well as the Arhuacos, Kankuamos and Wiwas. 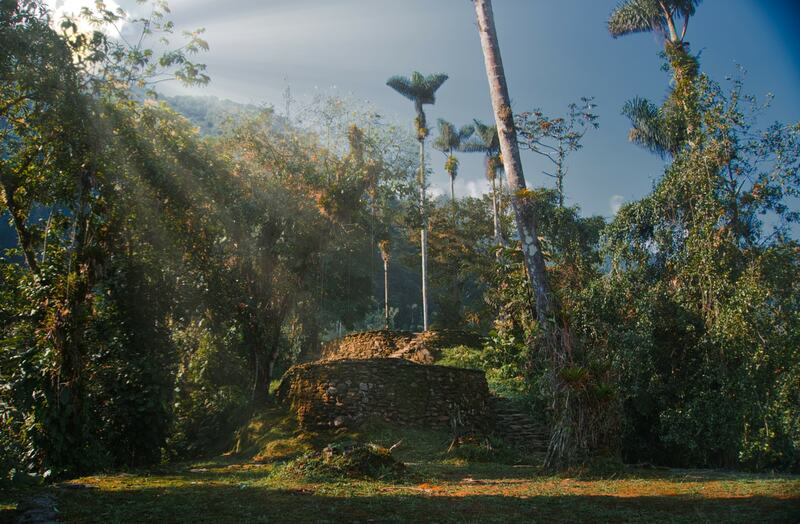 The Koguis think that the area of Lost City was a network of villages inhabited by their ancestors that is why they consider it as a sacred site, they claim to have visited the area regularly long before it was officially “discovered” and open to the public. For Koguis the Sierra Nevada is their home, their sacred place, their cosmology integrates the respect for mother earth in a profound way to which they call “Seneca” and the god sun “Seracua”, in their ideology (actually true for being honest) is thanks to them that we can eat and live, so we all should be grateful for this. That is why, all this tribes (Arhuacos, Kankuamos, Koguis and Wiwas) do not take anything from Seneca without having asked for permission and having offered something in return. For them we are their younger brothers (disconnected from mother earth), while they are the older brothers, because they live connected and respecting earth, very conscientious to don’t do anything that could harm it. 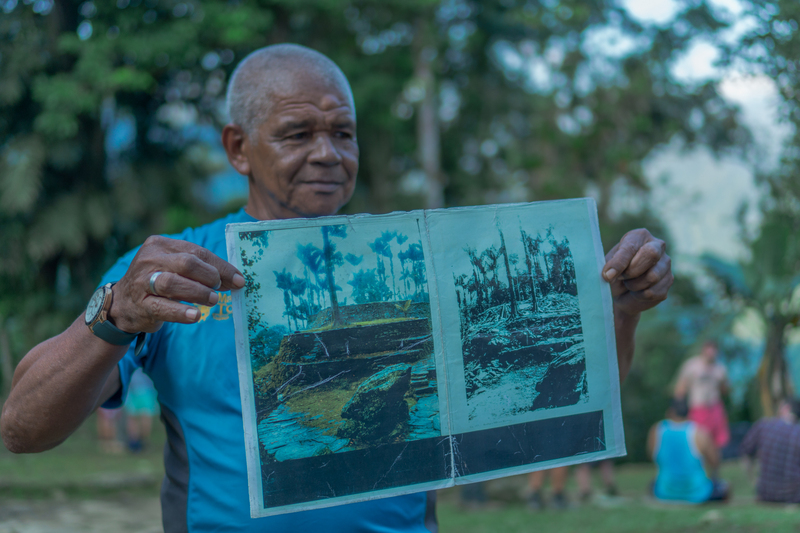 Before Lost City was opened to the public, the communities of Kankuamos, Koguis, Wiwas and Arhuacos, were opposed to the visits of tourists to Lost City, since for them this site should not be for tourism purposes for its sacred value and legacy of its ancestors. Over the time and after 30 years of having climbed the first tourists, they have integrated themselves into the activity, making possible the operation in the Sierra, since the conditions are extremely hard, they are responsible for uploading food with mules, carrying the necessary implements, even some of them are guides and are happily willing to give talks about their culture to all tourists who come and want to know more about them and their culture. Today more than 200 families benefit from this tourism. This site is wonderful, one of the best in Colombia that will challenge your mind and at the same time will delight you with the experience of living for 4 or 6 days in the middle of the virgin Colombian jungle, you will go back to the past of this ancient civilization not before without becoming worthy of this privilege through your own effort, an effort that is worth living too, that is why I show you 20 photographs to inspire you to know this land full of magical realism. 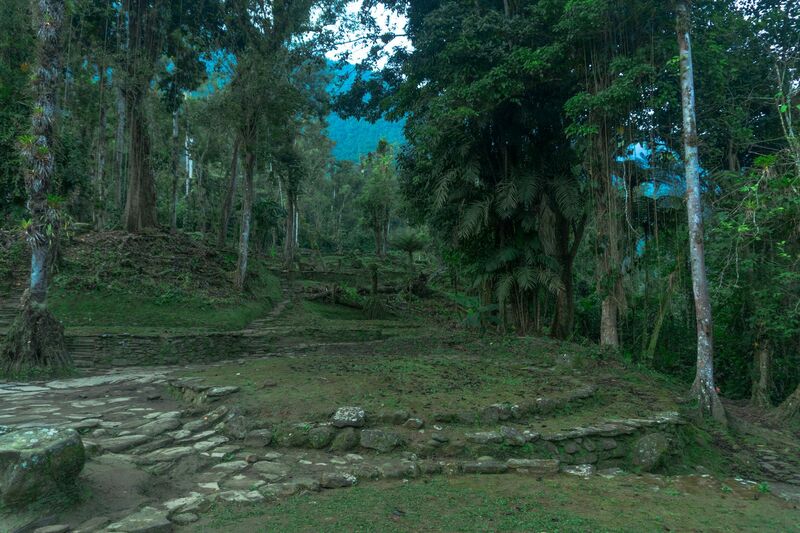 1.-The magic of Lost City. 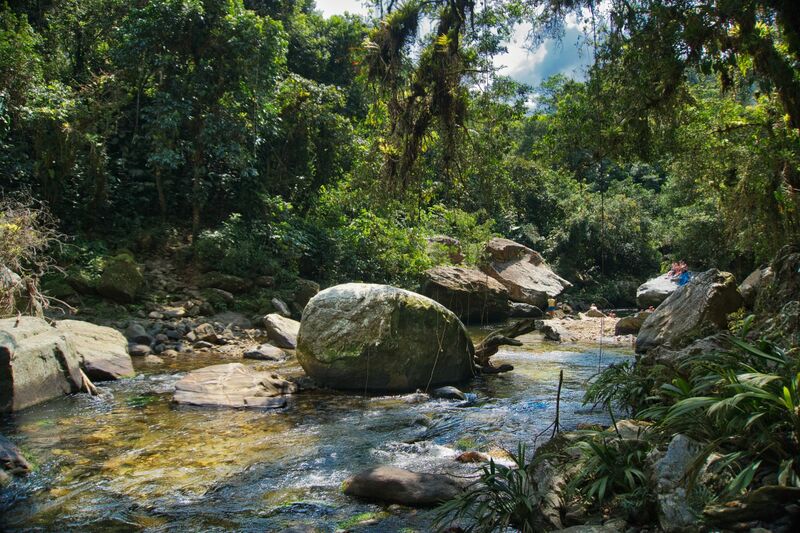 The area is also protected by the Colombian Army, to offer security and guarantee the order of the place. What you can expect is a trek full of magic far from civilization in heart of the the Sierra Nevada, full of waterfalls, rivers, the road could be long but it is part of the experience and belive me, is so worthy. 2.- Climbing the Lost City. 1,200 steps are those that wait to get to this sacred site, which is the last effort that announces the welcome to this mausoleum of ancient terraces, it is like the past of these ancestors who asked for this sacrifice as a symbol of purification before entering the site that they and even his descendants consider it sacred. 3.- Ancestral terraces in Teyuna. 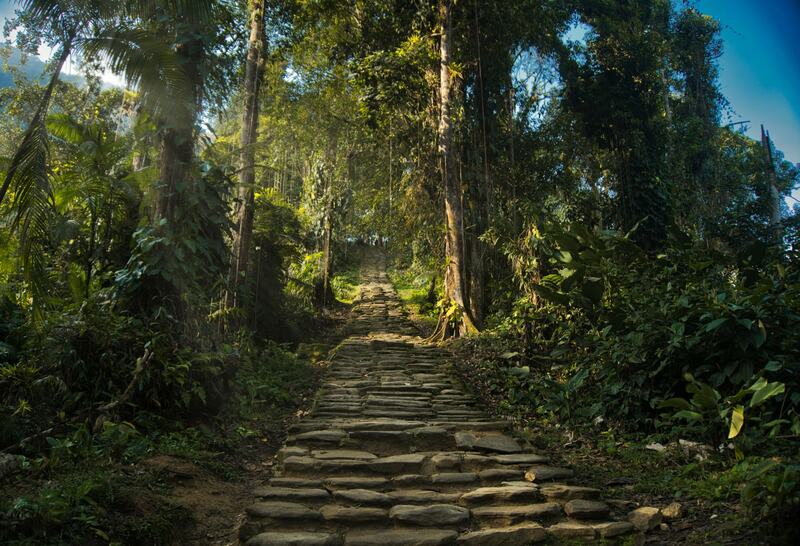 There are 211 terraces that make up the Lost City, but it is said that barely less than half of them have been discovered, there are still many works to be done by the Colombian Institute of Anthropology, although today it already has the 5th position of the 7th. 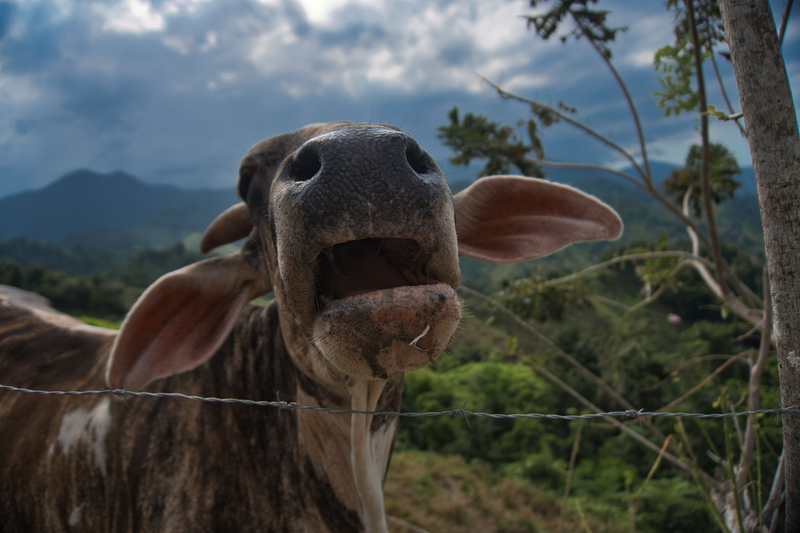 Wonders of Colombia according to a survey conducted in 2007. 4.- Love in Lost City. This would undoubtedly be one of the great experiences to live as a couple and strengthen their ties, as it will take you both to the limit and once at the top, you will be able to enjoy the happiness of having done it together, a challenge that can be done alone but together the trip is unforgettable. 5.- The Koguis a living legend. 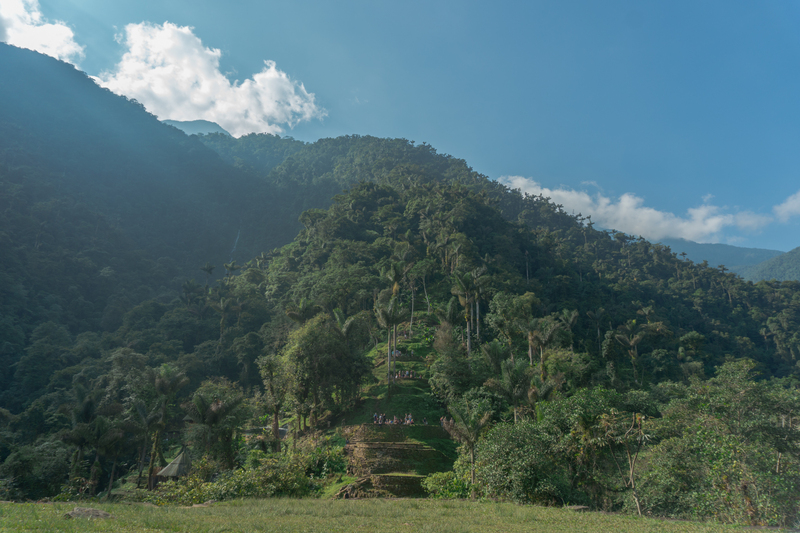 It is common to find the family of Mamo Romualdo on the top of Teyuna, they live there as permanent guardians of the site. Much is said about this jealous ancestral community, for example the singular hat of the Mamos, represents the snowy peaks such as Pico Colón and Pico Bolivar, which are located at 5,775 meters above sea level, likewise the roofs of their homes are inspired by these peaks. 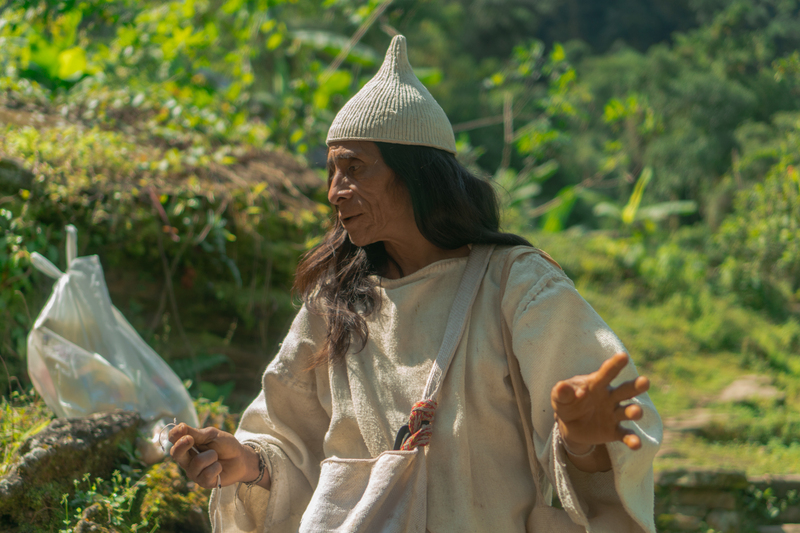 These communities are very respectful of the Mamos’ authority, to the extent that they assign their wives and are the ones who recognize the majority age by giving the poporo to the male who has already turned 18 years old. Currently there are 4 Mamos, one for each community (Kankuamos, Koguis, Wiwas and Arhuacos), and the respect for them is as profound as it is invaluable, thanks to them many of the customs and the community itself still preserved. 6.- Teyuna or Buritaca 200. 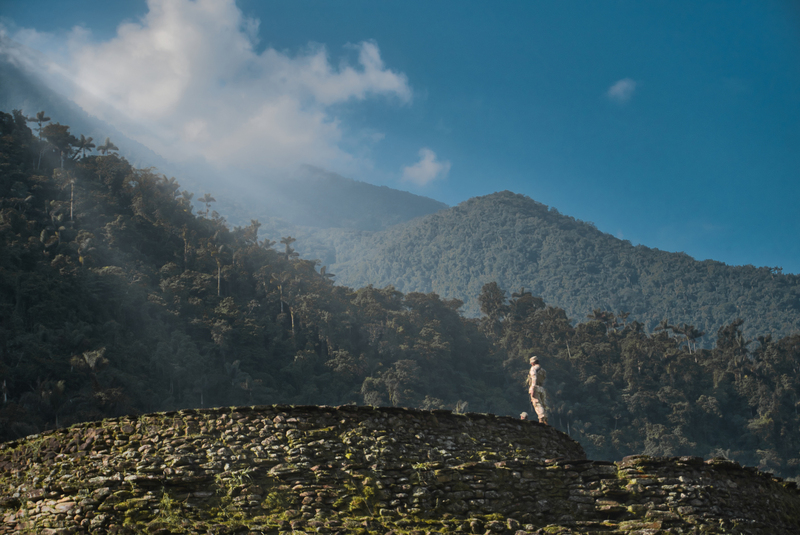 It seems impossible to imagine how more than a thousand years ago an ancient civilization was able to forge in the middle of this dense jungle a city made of stones, large stones, which today make up more than 211 terraces. 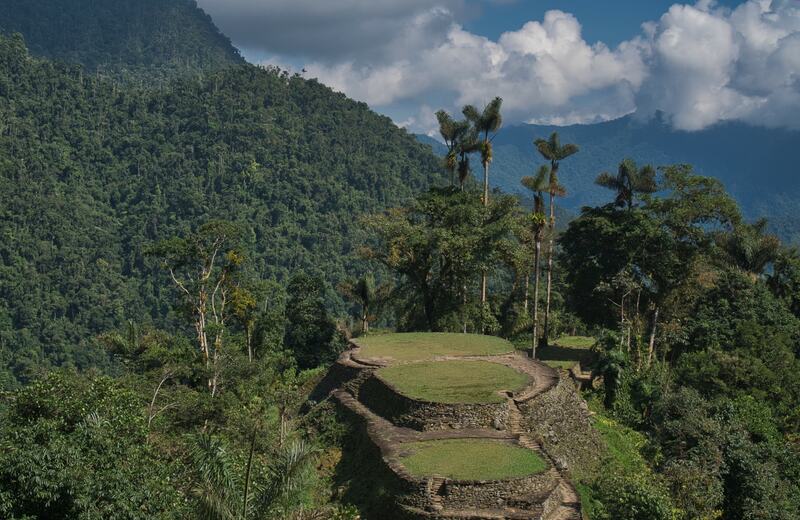 How could they cross so much willingness in the middle of the thick jungle to build what we inherit today as heritage, symbol of an ancient and powerful civilization, the great Lost City Colombia. 7.-Terraces in the middle of the magical jungle. The jungle of the Sierra Nevada has an special effect, or at least it had in me, when I made my tour to Lost City it was a very special moment because besides of being a difficult trek that challenge your mind, I had the opportunity to resolve a pending issue in my life, the last night in the camp, I had a very revealing dream, I’m sure it was the healing energy of the Sierra Nevada that made me that gift, it was something incredible, that’s why I highly recommend this trekking, there will be gifts that you can take with you, as the Koguis say, you can not leave empty back home if you visit the Sierra Nevada. 8.- Lost City, vestiges of an ancient civilization. The Taironas not only lived in Lost City, they also inhabited the Colombian states of Magdalena, Guaijra and the foothills of the Sierra Nevada, including the basins of the Guachaca, Don Diego, Buritaca and the Tayrona National Park coastal areas, where you can also visit some other archeological zone that remains in Chayrama village and an archaeological museum. As I mentioned before, the Taironas separated forming other tribes, indigenous tribes who still survive in the Sierra de Santa Marta, all of them Arhuaco-Magdalenic affiliation. 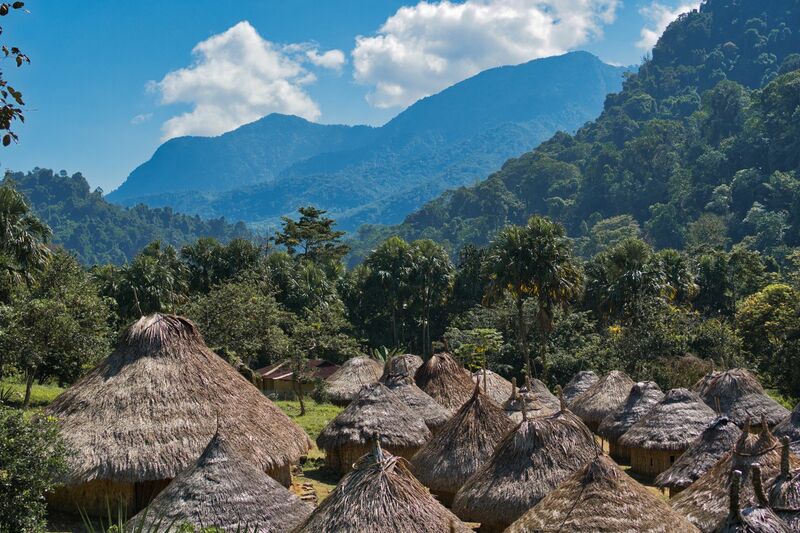 Among these tribes are the Kogui, there are still about 7,000 speakers of Kogui-Tairona, few of whom still live in the Sierra Nevada an Lost City. 9.- Lost City is for Amateurs. For nature lovers, extreme challenges, photography enthusiasts and natural landscapes, this is a tour to exploit not only the senses but your mental limits, it will challenge you to give more of you because in the middle of the road this decision It will be the only one that will keep you going. 10.- The Sierra Nevada and its secrets. In the middle of the silence and the murmur of the jungle, suddenly you will see a green that does not fit at all with the rest of the landscape, they are the members of the Colombian army, which are permanently in the site and along the Sierra Nevada to ensure peace and order, a fact that recalls a reality in Colombia, a country as full of life as secrets. 11.- Teyuna the perfect combination between nature and past. 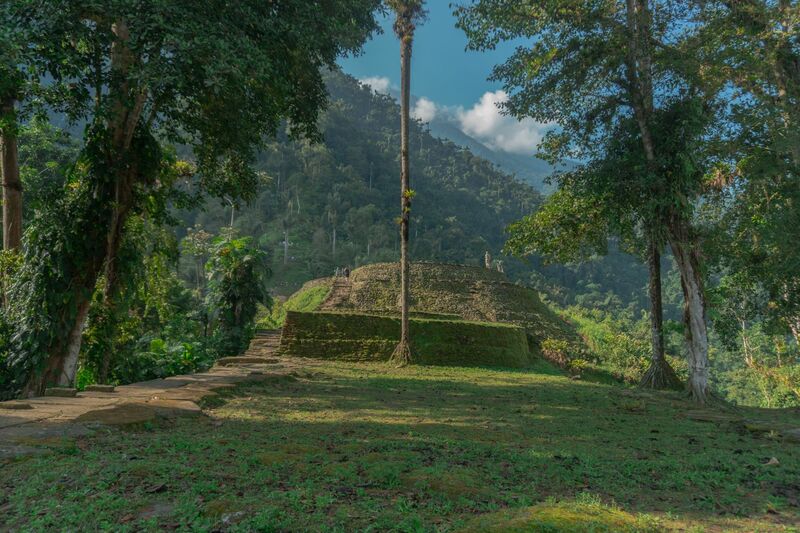 In Magic Tour we know the importance of preserving the history of places like Lost City, that’s why we believe that one of the best ways to preserve it is to communicate it, our guides have a deep commitment to the land and the past that has prevailed in this sacred place, and we are happy to share it in each of our tours. 12.- Lost City is an effort to contemplate. 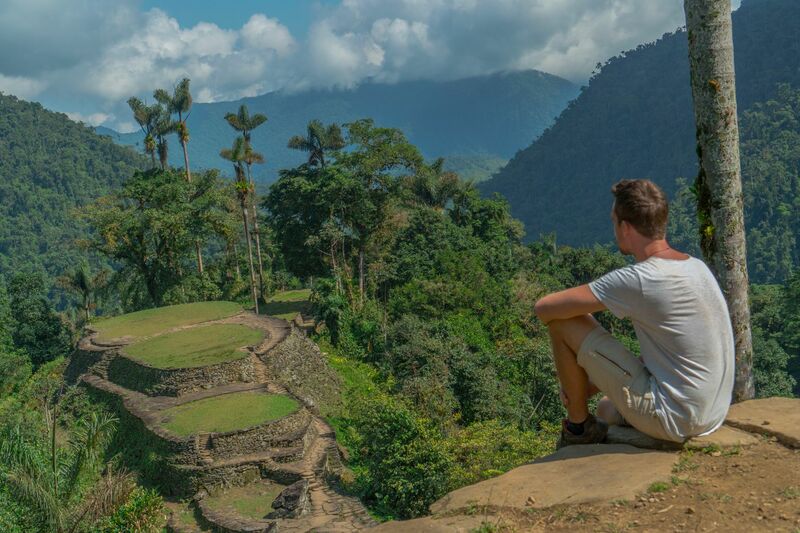 One of the great experiences that you will have in Colombia and probably in your life will be to climb Lost City if you decide to do this tour, which is not only for nature and trekking lovers, but also for those who like to break mental limits and challenge themselves to themselves. 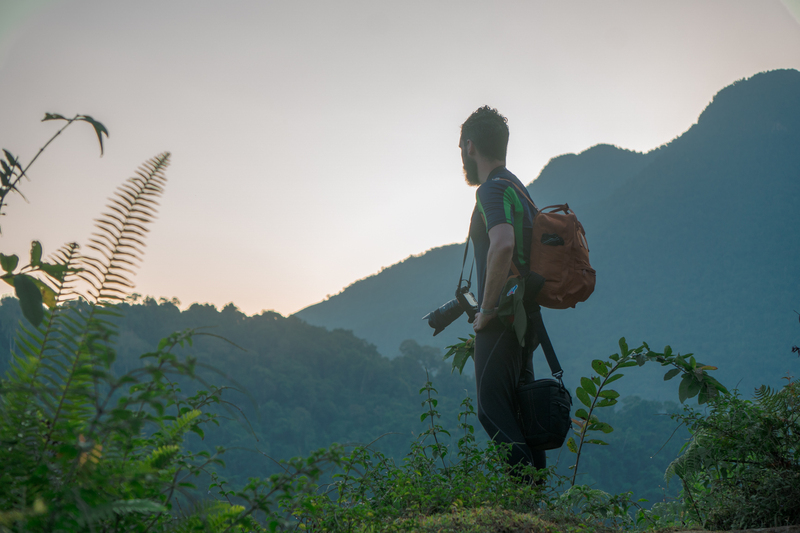 Undoubtedly one of the most expected moments to do this trekking is to climb the terraces of Lost City and observe the majesty of the jungle, a place that will certainly not leave you disappointed, take a few moments to breathe this peace and experience mysticism of this sacred site, surrounded by the wisdom of trees that keep jealous the secret of this jungle. One of the best things you will find in the Sierra Nevada on your way to Lost City, is the amount of virgin and fresh rivers in which you will have the opportunity to swim and recovery for the next trek, without also telling you the story they represent and for how many years or centuries have they been there, can you imagine swim in one of the rivers that the Taironas used to bathe? This is an opportunity you will have if you visit Lost City. 15.-The Koguis and their integration with Mother Nature. It is common to find in the Sierra Nevada communities or Koguis families, these communities are distinguished by the architecture of their houses with straw structures and peak roofs resembling the peaks of a volcano, like the hats of the Mamos, actually is nature its main inspiring muse and the reason for its offerings, it is a community deeply integrated to Mother Earth and it’s gratitude for her, which they reflect in each creation of their culture. 16.-Lost City a magical tour. 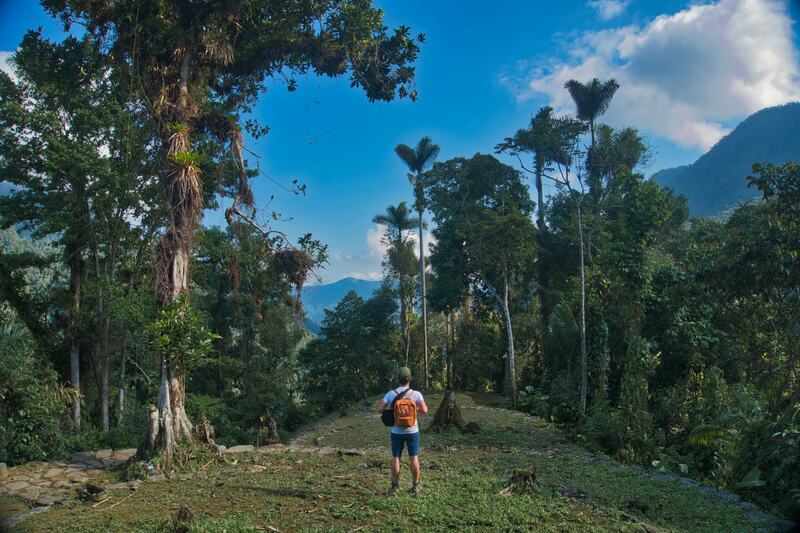 Magic Tour is a 100% Colombian company, created more than 15 years ago, committed to conscious and sustainable tourism. 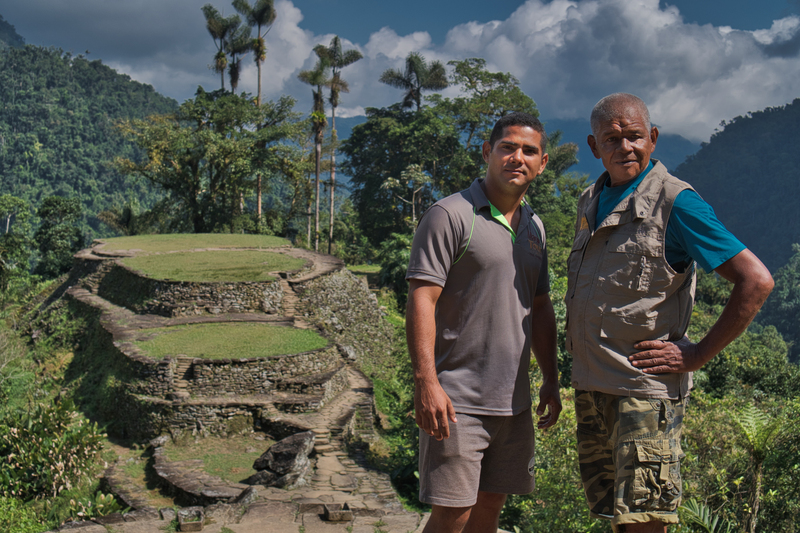 We were the second agency to operate the Lost City trek, offering a different service and improving the current offer in that time, which directly benefit the tourists. 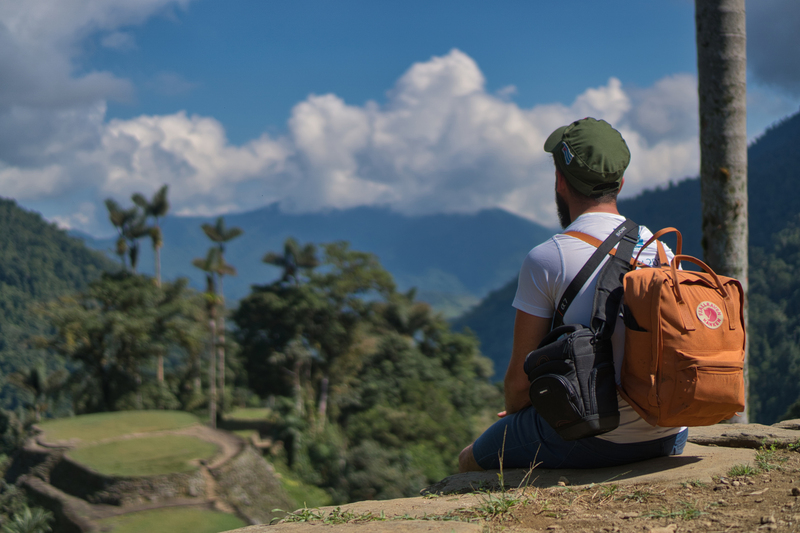 Our mission is to be at the forefront and offer excellent tourism services promoting conscientious and sustainable tourism in the Colombian Caribbean integrated with conscious tourism and promoting our culture with the world. 17.-Surrender to the mysticism of Lost City. Lost City is one of the most mystical and powerful places I have been, not only because it conserves much of the energy of the Tairona civilization, but also because it is surrounded by this wonderful junglde that is full of power and secrets, its roads they are able to bend even the hardest, but likewise it can be so healing. On your way to the top to Lost City, you will be able to make friends, very good friends who will always keep the bond of the effort, friendships which you will share in the future about the experience, this trek is done not only to challenge minds, also to strengthen ties of new friendships. 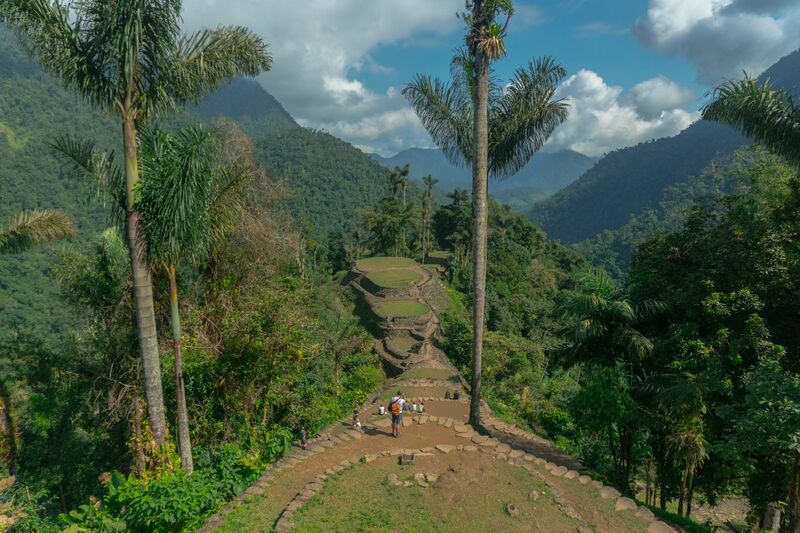 This is the great moment you were waiting to climb Lost City, from one of the highest terraces, you can have this view and enjoy the majesty of the mountains that surround it, this photo certainly only does justice to the sacred site, but what surrounds this place is really special too that worth of the effort. Once up it is inevitable to take a moment to contemplate this sacred site, the breath may be little but the wonder it represents and the pride of having achieved this challenge will fill you with joy, it is an indescribable joy that only those who have climbed and conquered our mental barriers would know, this is another reason why I recommend this tour, you can not miss it if you visit Colombia. We want to thank Jimmy Courcelles for the graphic collaboration. Help us to share or visit my site for more articles about Colombia and Latinoamerica. Previous post7 Reasons to Visit Tayrona Park and Fall in Love of it.